A new way to make hexagon projects! 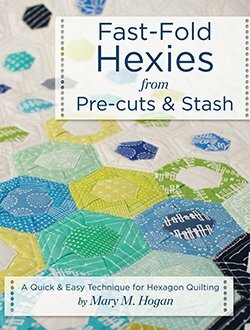 Author Mary M Hogan presents a new method to create the time-honored hexie, using her fast-folding technique. You can use your pre-cuts or stash to stitch up scores of hexies with her unique quilt-as-you-go technique, with backing and batting included.